This is an oval Pacific Club porcelain sign. This particular Pacific Club sign is yellow with black and green print. 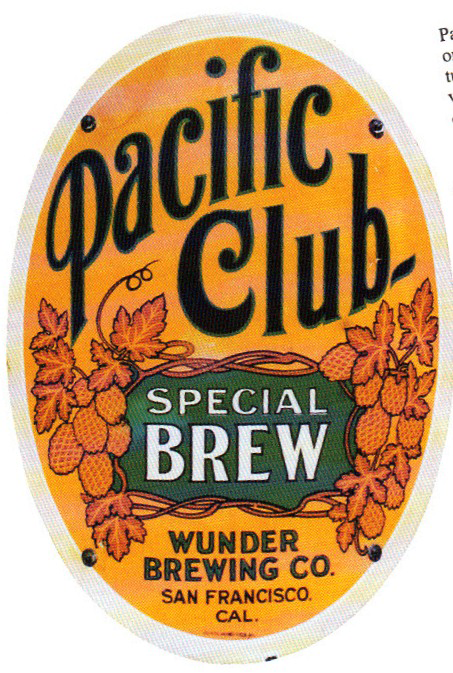 It reads, “Pacific Club Special Brew, Wunder Brewing Co., San Francisco Cal.” and features brown leaves around a green rectangle in the center.